New shipments of plants & supplies are always arriving! Check out our selection and supplies for indoors and out. 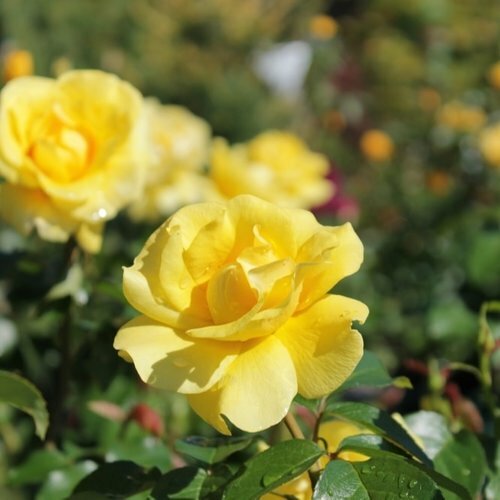 We have a great selection of beautiful landscape shrubs, trees and perennials. Stop in soon, spring things are happening at New Garden Gazebo! See our fantastic selections of tropicals to adorn your garden, porch or patio this summer. Long-blooming and heat and humidity resistant, tropicals bring an exotic touch you your summer garden. Any size purchase at New Garden Gazebo delivered anywhere in our delivery area for $20! New Garden Gazebo on Lawndale Drive in Greensboro is a delight to explore. Beautiful arrangements of plants and accessories guide you in selecting just the right thing for your garden. Not sure what will thrive for you, or concerned about making the wrong choice? Our knowledgeable garden center staff can help you find the perfect plants for indoors or out, and our hardy plant warranty provides extra peace of mind. Changing seasonal selections throughout the year assure that there is always something exciting waiting for you to discover. Our goal is your gardening success. To help you succeed we offer several garden services for every level of gardening experience. From the beginning gardener looking for friendly advice, to experienced green thumbs who may need some "catch up" help in the garden, our garden services are designed to help you get the most from your garden. Not your average garden center, New Garden Gazebo is a must see for sure. For a great garden, visit us soon in person or on social media! Order for free Delivery to New Garden Gazebo! Shop Monrovia’s wide plant selection online and your order will be delivered free for pick up at New Garden Gazebo! Just choose New Garden Gazebo as your delivery garden center at checkout and you’ll be notified when your order is on it’s way. We’ll deliver any size order to your door for $20 (within our delivery area). Contact us for details if you’re interested in having us deliver your online Monrovia order to your home. Space prohibits New Garden Gazebo from carrying all of the thousands of varieties that Monrovia grows. But space isn’t an issue at an online store! You can search for the perfect plant by dozens of options. When you buy plants, remember, you’re buying time. You can plant a tree from seed but it will take a long time to mature. Plants grown in containers are well on their way and you can enjoy them immediately. Take a look at Monrovia’s plants in the green container. You’ll notice they are larger, fuller and pruned to a healthy shape. Our Garden Services experts can help your imagination take root at home. Whether you need a little advice or have a lot of shrubs to plant, our Garden Services let you “shop” for advice and assistance in your garden. Garden Services is your key to keeping your landscape beautiful and well-maintained with expert resources! 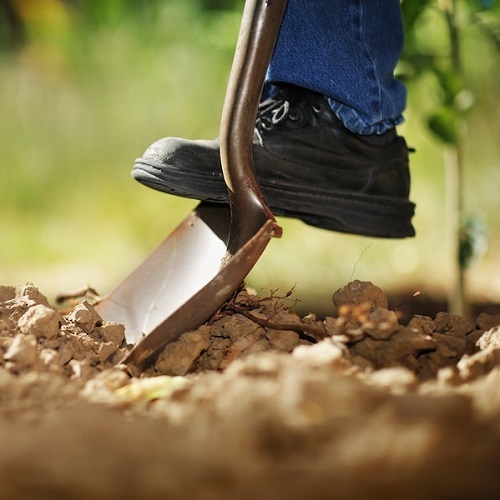 If you’d like to make some changes to your landscape and are willing to do the planting yourself but just aren’t sure of what to plant where, our We Plan, You Plant service is for you! We Plan, You Plant is available by appointment on Saturdays at New Garden Gazebo. For more details about the service visit the We Plan, You Plant page. For your convenience, you can schedule your We Plan, You Plant appointment online! Thank you! We’ll be in touch to arrange a visit. Bring your own container or purchase a container at New Garden Gazebo and one of our sales associates will work with you to design the perfect container garden. We’ll plant it up and you can pick it up within 48 hours. If you’d prefer, we can also arrange return delivery or on-site planting. Visit New Garden Gazebo for details. Vacations are fun and relaxing...until you get home to a garden that's full of weeds and sad, crispy container gardens! Let our experienced crew keep your garden and containers beautiful and thriving even when you can't with our Vacation Services. We'll make sure your containers are watered and your garden is weeded - we can even give your plants a summer fertilization or spruce up your containers while you're gone. Stop by or email for details. Love that tree in our nursery, but pretty sure planting it is a larger job than you can handle? Our Retail Planting service includes pre-plant site visit to confirm proper plant siting, utility location, delivery, planting, soil amendments & fertilizer. For one plant or many plants, it gives your nursery purchases the best possible start-all you need to do is water! Ask a sales associate when you visit. Our team will get your lights, wreaths and bows up before Christmas and down after the New Year, and even store them for you in the off season. Add some winter planted pots from our Container Garden Services for the most festive house on the block! Contact us for details.